And as you will see over the next few days, my cards this year have been very tactile designs - combining different textures, with lots of depth & a little bit of Christmas sparkle. All made using a mix of hand-made and purchased card toppers. I've made quite a lot of this design. It was simple to produce in quantity, like a mini production line! And I loved it's all-neutral tones. To make it, I printed my Sentiment onto an ever-so-slightly-textured paper from Paperchase & mounted it onto an A6 Card Base. 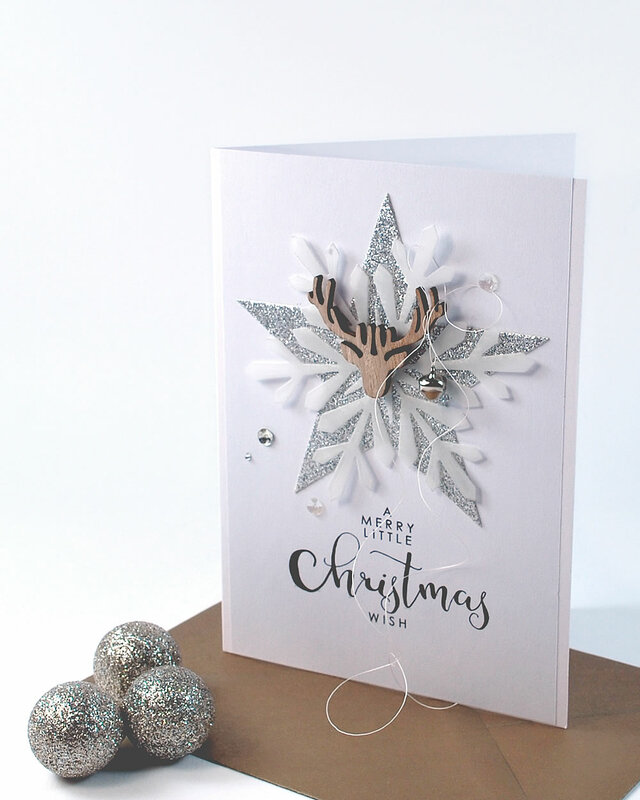 I then layered a die-cut Star cut from silver glitter card & a translucent die-cut Snowflake cut from vellum to create a background for my feature embellishment - a purchased wooden Stag - tying a silver metal bell around the antlers with cream crochet cotton. 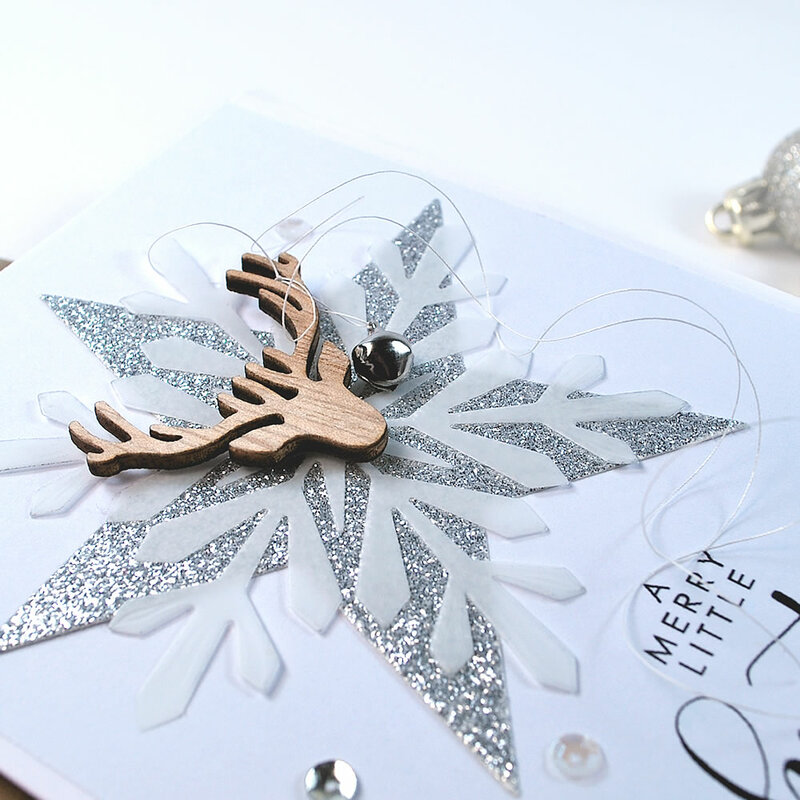 I then finished my card with a selection of sequins & crystals, also in neutral tones. And a metallic gold envelope to highlight the colour of the feature Stag. & all the new designs for Christmas 2017 *here*. Sentiment: 'Happy & Merry' Digital Sentiments printed onto Laid White Paper. From Paperchase. Large Snowflake Die: Hero Arts Fancy Snowflake Die. Wooden Stags Head Topper: from the Heritage Christmas range at Hobbycraft. Cream Crochet Cotton, Vellum, Silver Glitter Card, Mini Silver Bells & a selection of small sequins & crystals. love. Love. LOVE your card; thanx for the inspiration!